A growing number of Sanya residents have paid for the healthy organic vegetables, although their prices are twice as expensive as that of normal vegetables. 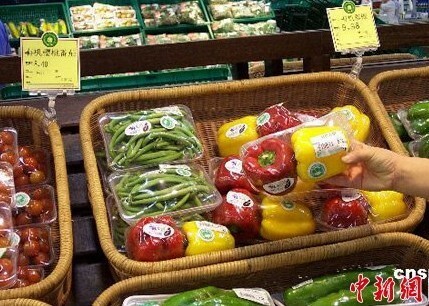 Starting from this January, organic vegetable counters have been set up at major supermarket chains in the city and some stores in the provincial capital city of Haikou. Sanya Nanguo Vegetable Farmers’ Cooperative, a company which provides technical supports to farmers, supplies fresh and qualified vegetables to the supermarkets and restaurants everyday. The company has an annual production capacity of 600 tons, which will bring 10 million yuan plus revenue. It was worthy to pay extra money for vegetables free of chemical pesticides, fertilizers, hormone or genetic modification, said many customers. Many 5-star hotels at the city’s beach resort Yalong Bay are considering to purchase organic vegetables from the company.